Earlier today, Ubisoft hosted a livestream about Beyond Good and Evil 2, to give fans a sense of how much progress they've made since this year's E3 announcement. The livestream consisted of narrative director Gabrielle Shrager, senior producer Guillaume Brunier, creative director Michel Ancel, and community developer Kevin Erwin, who all shared new information about the game. The team discussed all sorts of topics, including fan feedback that they've received through the Space Monkey Program, a Ubisoft initiative that is a community of fans who have a say in the game's development. The livestream didn't show off any gameplay (which isn't surprising since it's very early in development), but it did give us a glimpse at spaceships, concept art, and character customization. 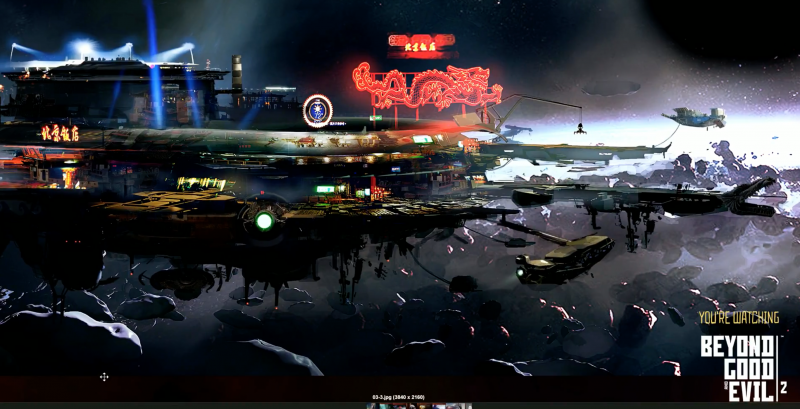 Beyond Good and Evil 2 takes place in a solar system called System 3, which has become a hub of interstellar trade and colonization. The team is aiming to take an ambitious No Man's Sky approach to space travel, where there are no loading screens or transitions during transit. Players will be able to move from one planet to the next seamlessly with their ship, which can be thoroughly customized. 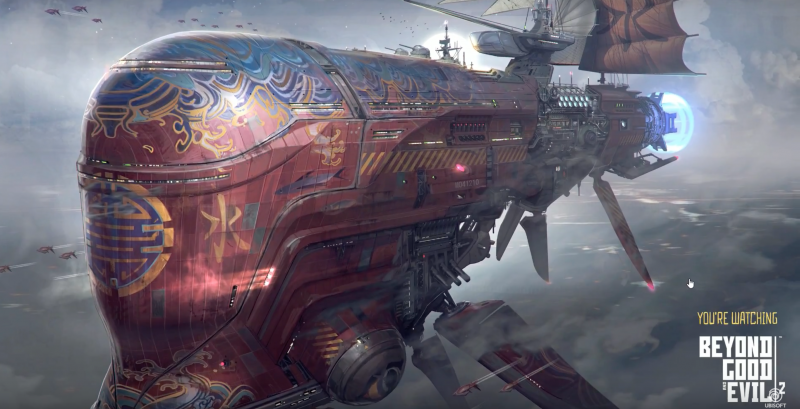 There are several different kinds of ships that players can purchase or even steal in-game, including the tuk-tuk, a small fighter, a scouting ship, a cargo frigate, and a massive mothership. You can view some images of these below. Beyond Good and Evil 2 can be played cooperatively online, and Ubisoft revealed that you can even space travel alongside others, by creating a fleet with a handful of friends. 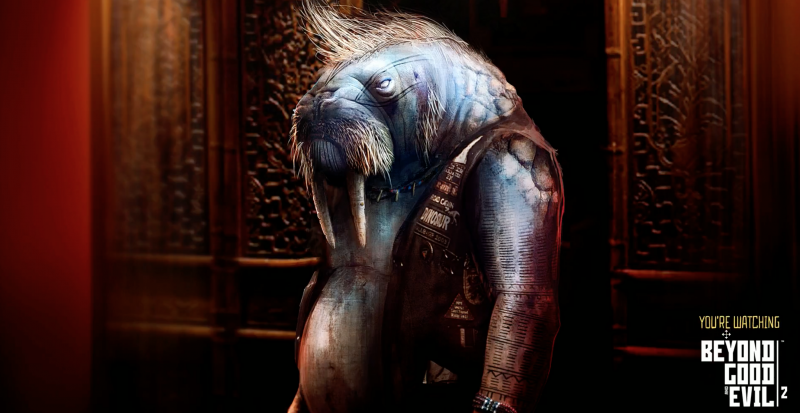 We also got a peek at character customization, where you can create hybrid creatures. Here, you can mold a character's body or face in different ways. This system also allows players to mess around with DNA and simultaneously change species. For example, just by tweaking your character's head size and form, it could turn from an ape to a crocodile. The livestream also detailed that the Space Monkey Program has grown to include around 80,000 fans, and the development team for Beyond Good and Evil 2 has tripled in size since the announcement at E3. According to the team, they are currently hard at work creating vibrant cities that players can fully explore. 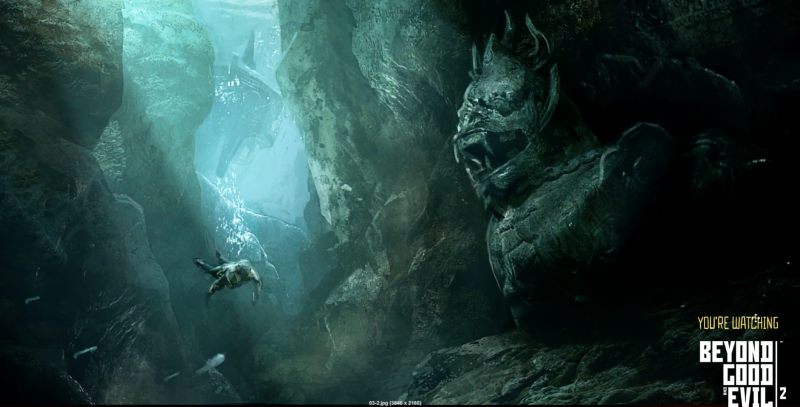 Many pieces of concept art were shown during the course of the livestream, but the team was careful to mention that these environments and characters may not make it to the final game. 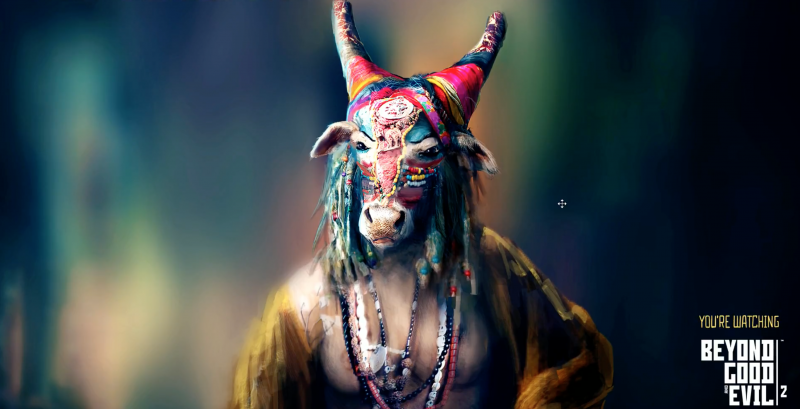 These artworks include images of an Egyptian cow godess and an Inuit walrus hybrid. You can view these in the gallery below. No release date or platforms have been confirmed for the title just yet. For more on what to expect from Beyond Good and Evil 2, read our in-depth preview from E3 by heading here. Beyond Good and Evil 2 was a big surprise at this year's E3. The Space Monkey initiative seems to be working well for them thus far, and it's an interesting and different approach for a company like Ubisoft. I enjoyed this small update, but it's likely we still won't see this game come to fruition for years to come.